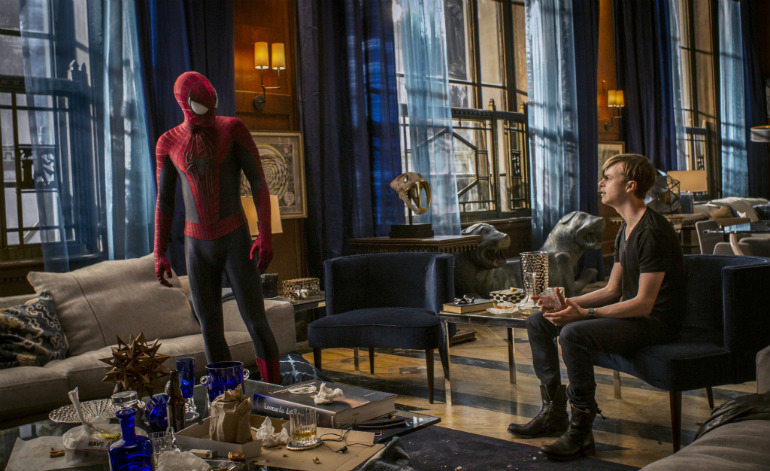 Amazing Spider-Man 2: How Amazing is it? You know your wife loves you when you get an email saying that she purchased 2 tickets to a pre-release showing of a superhero film; especially when she’s not a superhero nerd. I have a keeper, that’s for sure. 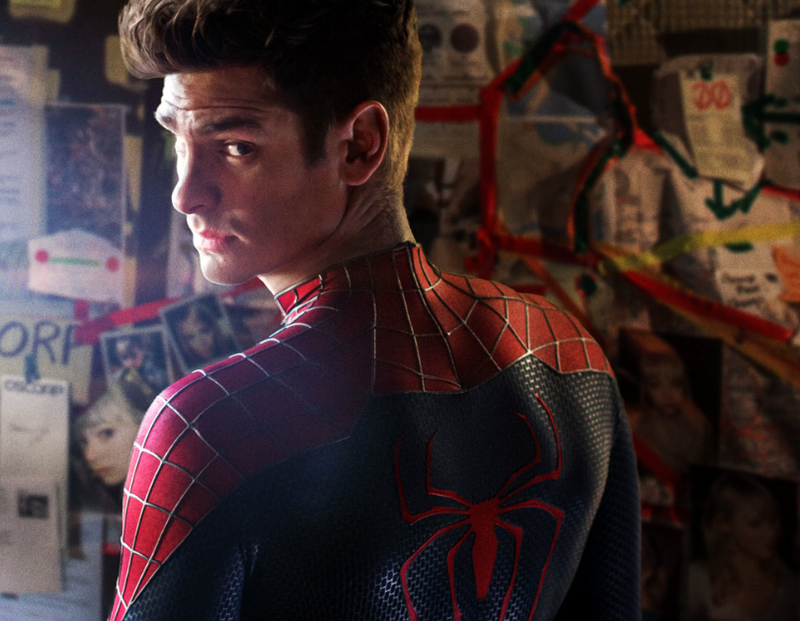 Andrew Garfield reprises his role as the sarcastic teen Peter Parker. His true life lady, Emma Stone, also returns in her role as Gwen Stacy. 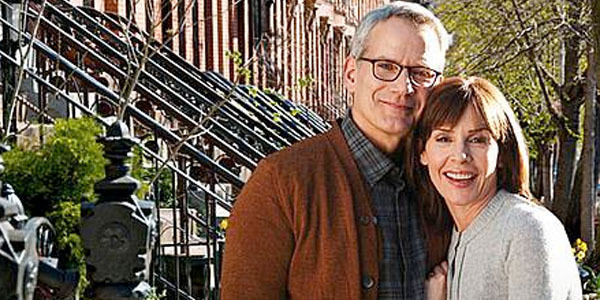 Other characters returning to the franchise are Sally Fields as Aunt May, Embeth Davidtz as Mary Parker, Campbell Scott as Richard Parker, and Dennis Leary, kind of, as Captain Stacy. 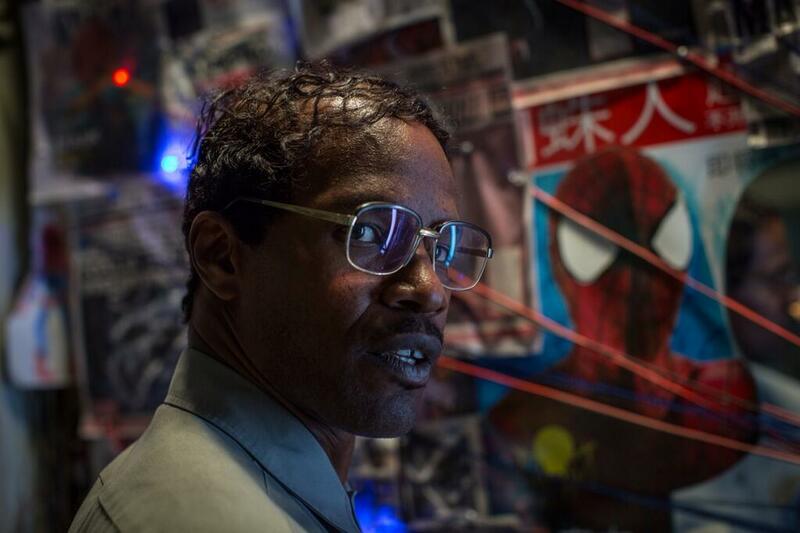 New to the Spider-Man world, but not to the big screen are two stars: Jamie Foxx and Paul Giamatti. 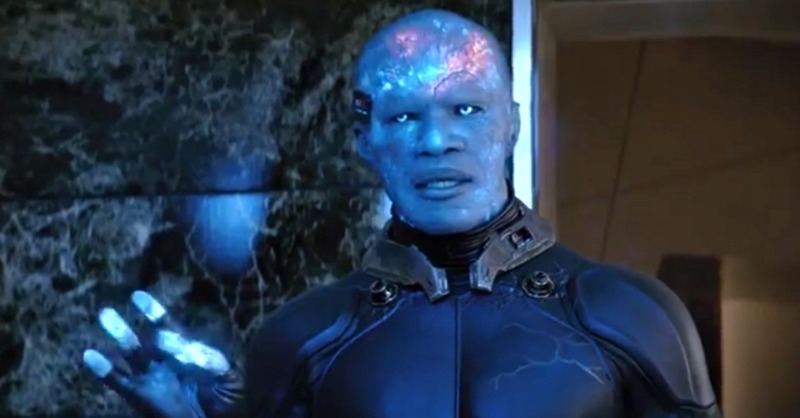 Jammie Foxx does a great job portraying Max, a loner and questionably sane character that becomes Electro. 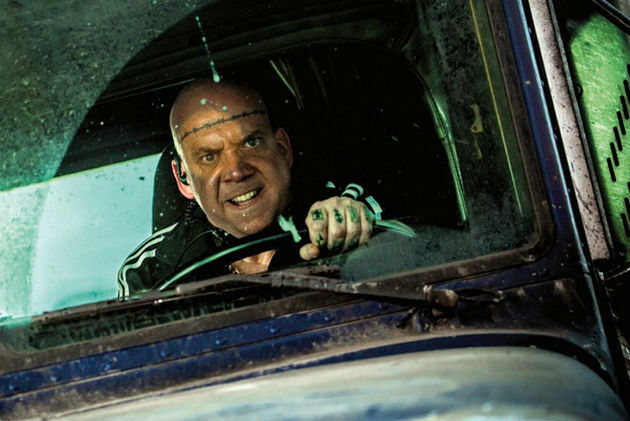 Giamatti does a surprise rendition of the Rhino. 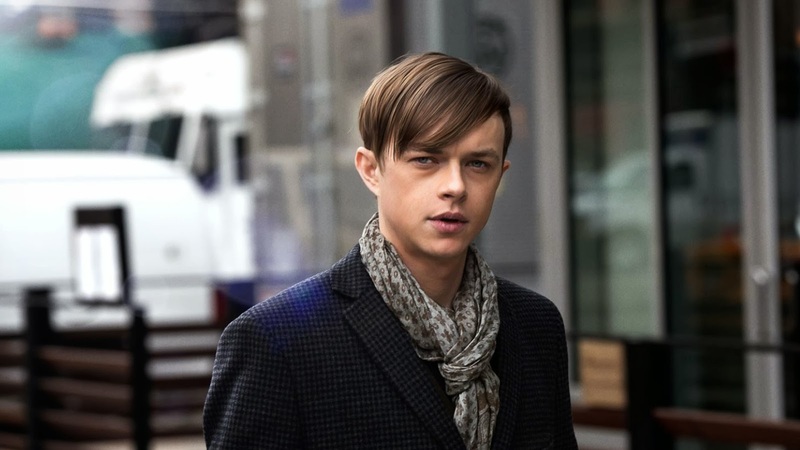 Also new to the Spidey World, and not as familiar to most, is actor Dane DeHaan playing Harry Osborn/Green Goblin. The biggest awareness is that Peter is willing to do anything he has to just to keep his promise to a father. He suffers great pain and agony to keep that promise and he puts Gwen and her security first above himself. Sound familiar? Jesus was willing to do anything he had to just to keep his promise to his Father. He suffers great pain and agony to keep that promise. And he puts all of man –kind and their eternal security first above himself. Most people know John 3:16. However, Matt 26:20 begins the suffering of Jesus with the betrayal by a friend and it follows the verbal to physical abuse he suffered to the moment he died for us in Matt 27:50. If you have never read of his suffering, I advise you to read it. Then remember this was an innocent man who stood there taking that for you. Part 2: Peter rekindles his search for answers regarding the death of his parents and why they abandoned him 15 years ago. 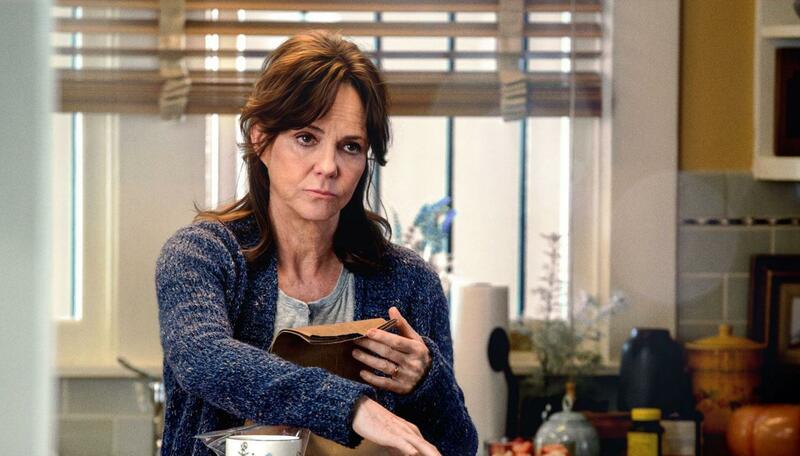 One of the most touching scenes with Aunt May is when she refuses to tell Peter what she knows. She has raised him. She has been there for him. His parents simply abandoned him. 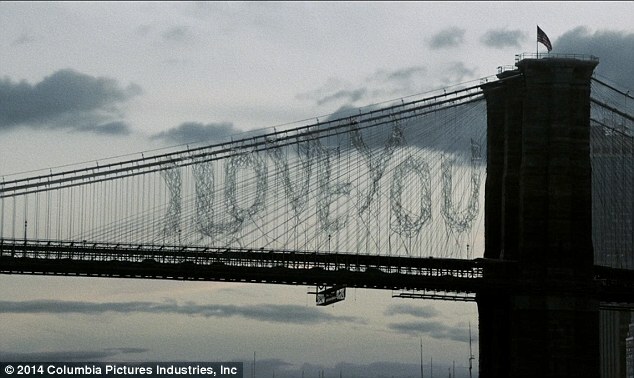 Peter breaks down and softens and tells her that she is enough; more than enough. Peter doesn’t give up on finding clues in the satchel his dad left behind. This time he finds answers. Answers of why. Answers of what his father was doing. Answers of why the spider’s bite affected him the way it did. Part 3: Max is a lonely engineer that works for Oscorp with an apparent mental imbalance. He is often overlooked and dismissed. 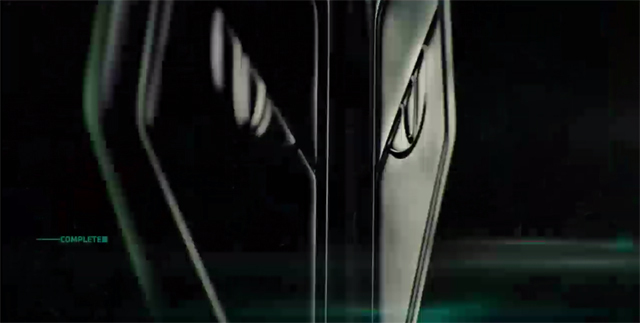 His power grid designs are copied and used simply because Oscorp knows Max won’t do anything about it. A chance encounter has Spiderman saving him, at which point he becomes obsessed with Spidey. A freak accident (like many Marvel characters) leads to him turning into pure energy in the form of electricity. Electricity with an attitude and quick temper, he takes the roll of Electro. In his transformation a simple misunderstanding changes his fear and desperation to anger and action… all to be seen. 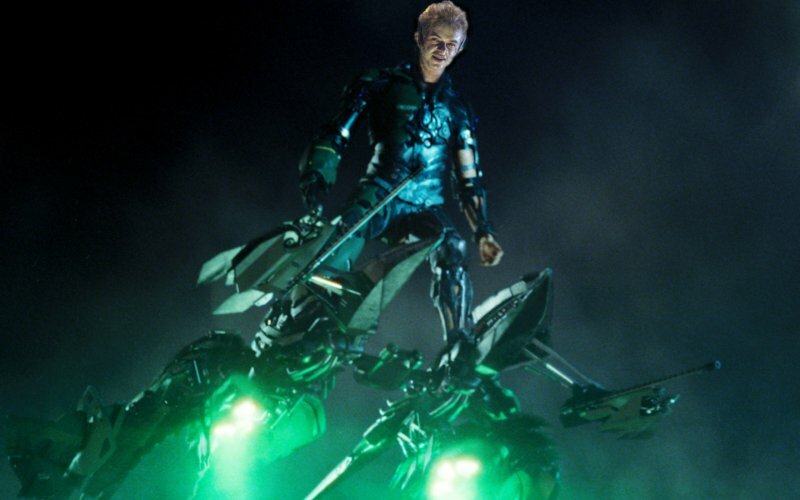 Part 4: Harry Osborn is brought back home to his dying father who is disappointed in him to find out he has the same family genetic disease and he will die as well. He connects with Peter Parker, a long time childhood friend that he hasn’t seen since his father shipped him away. As his illness kicks in he starts to form a plan to save his life. 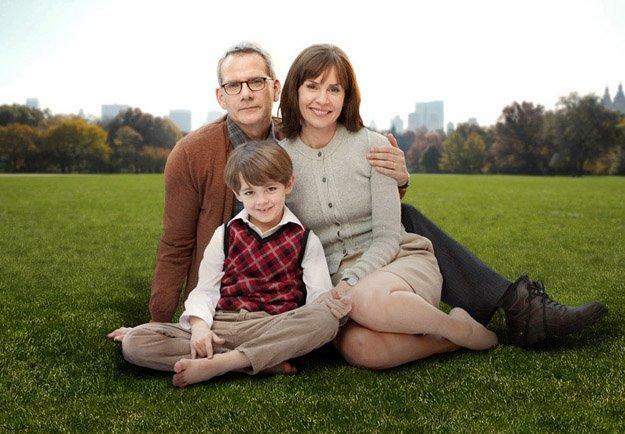 His goal is to find the spiders that his father and Dr. Parker created 15 years ago to help heal him. When he discovers they have been destroyed, he seeks out the last of the spiders’ traces; Spiderman’s blood. Parker, knowing that there was no certainty that his blood wouldn’t kill Harry, turns down the blood donation to protect his friend. 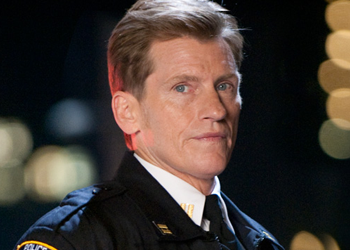 Osborn is angry. He’s desperate. Anger and desperation are dangerous things together. A lot of air shots as Spiderman goes swinging from place to place. I truly believe it is the best CGI film to date for any of the Spiderman films. In a couple of shots you can tell he’s CGI, but for the most part he looks real. What I liked best is how many of the shots are reminiscent of the break out 90’s designs of Spidey’s flexibility in the air that changed the way the book titles were drawn from that point forward. Queasy stomachs may struggle with a couple of the scenes because they truly look real. You’ll see a lot of emotion. Peter and Gwen truly love one another and they struggle with their inner demons. Aunt May has a beautiful scene where she breaks down as a protective Aunt who has truly be mom to Peter when his parents abandoned him. She wants to protect him and it’s a nice exchange of what seems like genuine feelings. You’ll see a lot of humor. As a comic book fan there are times where Spiderman says something and you just can’t help but laugh. 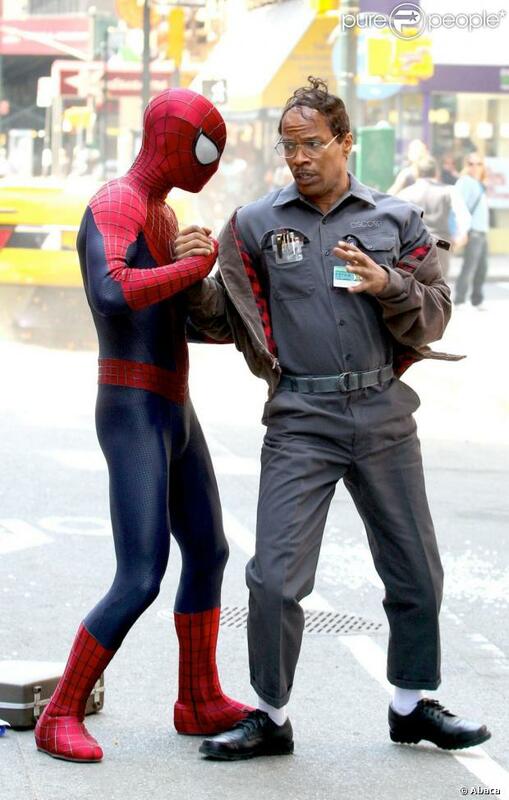 This film brings that fun and silly side of Spiderman to life. It is truly a lighter version of Spiderman than we have seen before. The thing about Toby McGuire as Peter Parker, you seldom saw him smile. You usually only saw the tormented side of Peter Parker. Garfield brings both aspects to the character; the tortured version of Peter Parker and the comical side with his smile and charm. You’ll see all new interpretations of old villains. 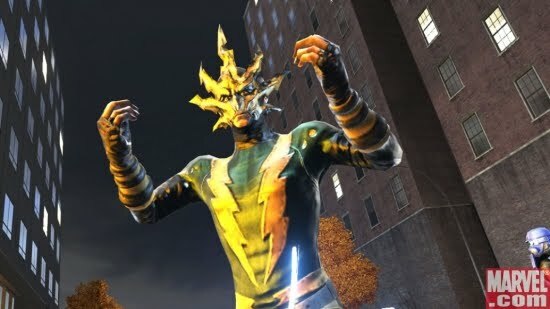 I have read some complaints about the black suit for Electro. I like the yellow electric bolts in the comics, but let’s face it, that would look pretty hokey on the big screen. 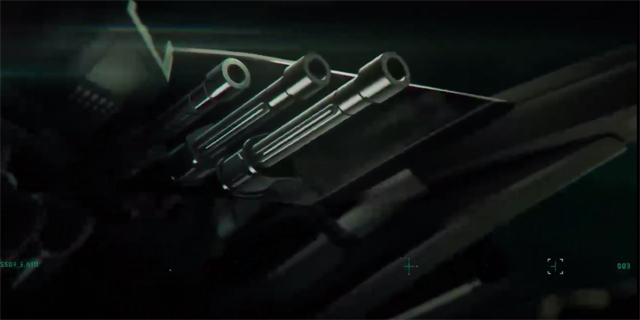 I personally like the black with the hint traces of electricity. 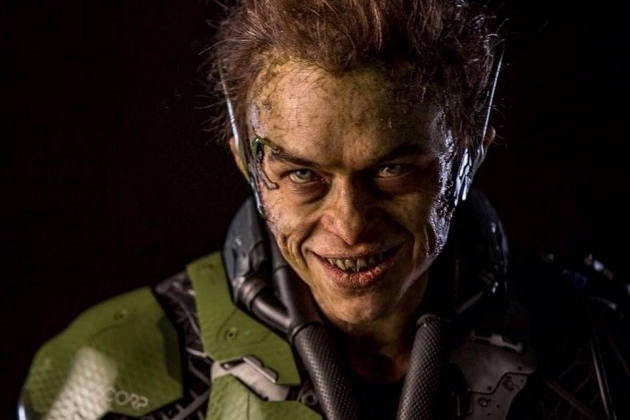 The Green Goblin was pretty impressive. It’s hands down better than either of the original film versions. He looks like the Goblin in early transformations. It’s a classic character that was done right. 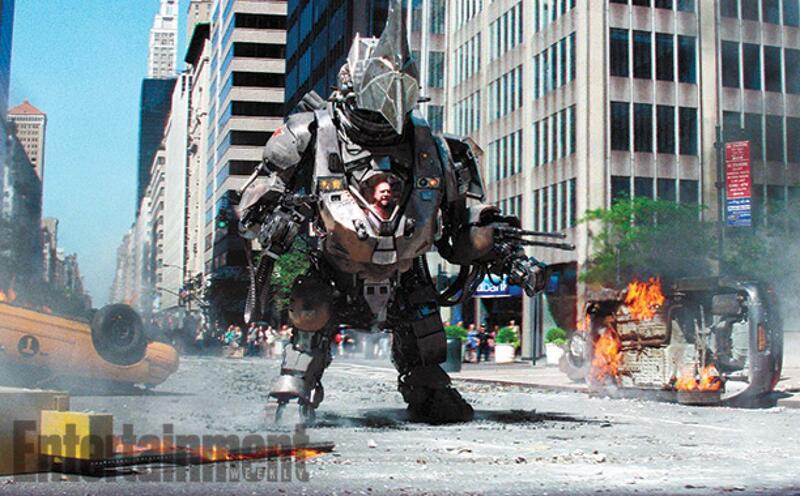 Then there’s the Rhino at the end of the movie. I’m still on the fence with this one. 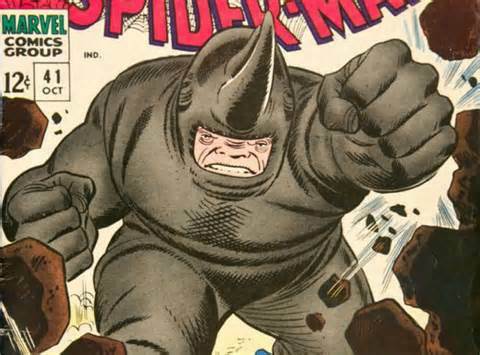 Could they have put a guy in a Rhino suit? No. Let’s face it… that would just look dumb. 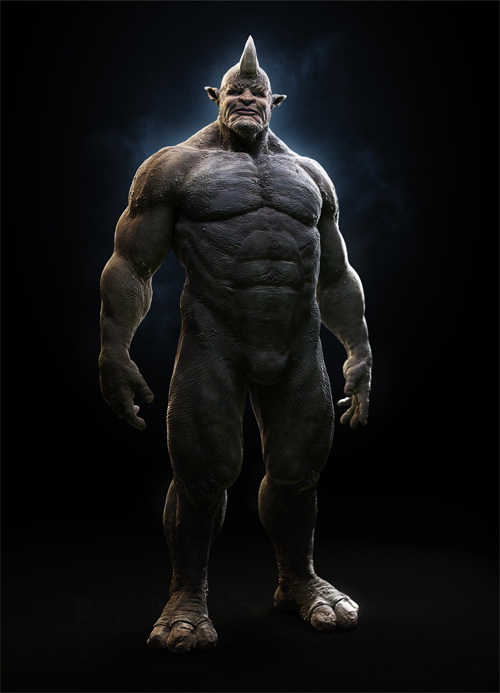 Could they have made him half Rhino and half human like the video games? They could have, but there’s a huge story line there that would have to be explained. The giant suit? It isn’t bad. It just looks clunky (my wife’s term that I agree with). Maybe they tried to make it too big? May I struggled because the coloring of it is all so close to the same gray I couldn’t make out the real form of a Rhino. 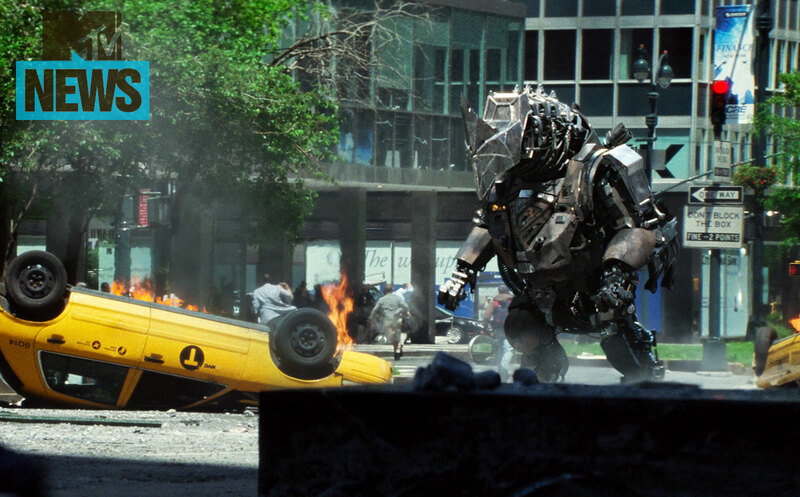 It felt more like what I expect to see in relationship to Transformers 4 than in Spider-man. I didn’t hate it… I just didn’t really like it either. I believe he is used more as a teaser in this film. 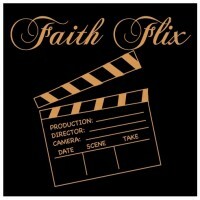 As the credits roll you see the following images under the credits. 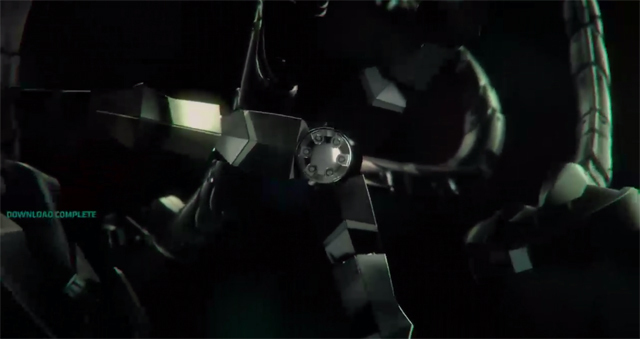 If you know the Sinister Six, you’ll recognize the equipment being represented here. The questionable one for me is the mask. 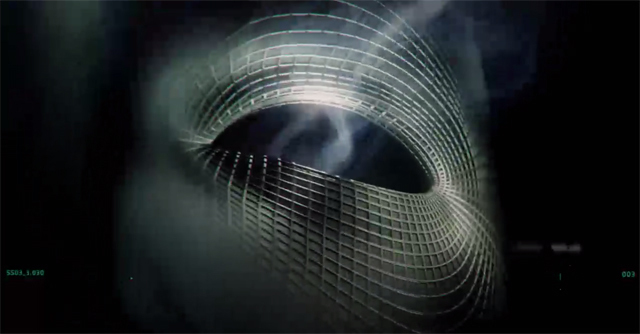 It could represent Electro and showing how he vanishes, it could be Mysterio with their take of his mask instead of a giant fishbowl, or it could be the Chameleon. I am left pondering. So… How do I rank this. It’s a good movie. It’s not too violent for my 9&11 year-olds to see. My wife laughed and seemed to enjoy it more than any other hero movie that she has seen. The story line is solid in my opinion. The swinging scenes were the best of any Spidey film to date. 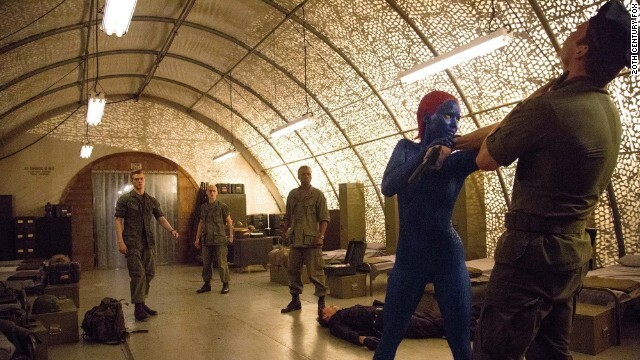 The fight scenes were very well done. I didn’t walk out of there thinking it was the greatest movie ever. However, if I wasn’t going to 5th grade camp this evening, I’d have my youngest son at the theatres and see it again tonight. 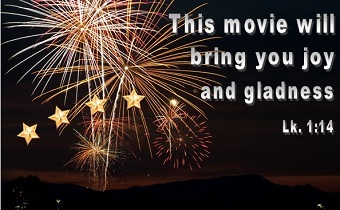 It’s a good and entertaining movie. Go see it! 4 out of 5 for me. Peter and Gwen’s relationship ends pretty accurately to the way the comics wrote it back in the 70’s in Amazing Spider-Man 121-122. Therefore, I feel that they spend such a great deal of time focusing on the love and importance of Gwen to Peter so that you can see where the darkness comes from in Peter. A Segway into Venom perhaps? 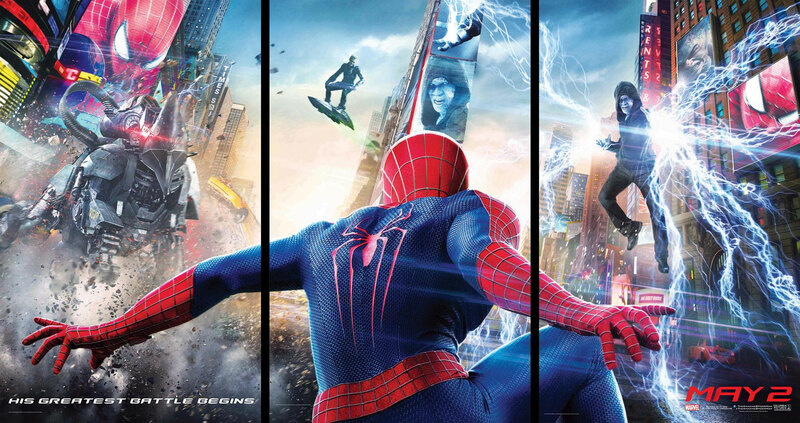 The scene depicted in the poster where the 3 villains face off against Spidey never happens. The Rhino doesn’t appear until the very end of the movie. 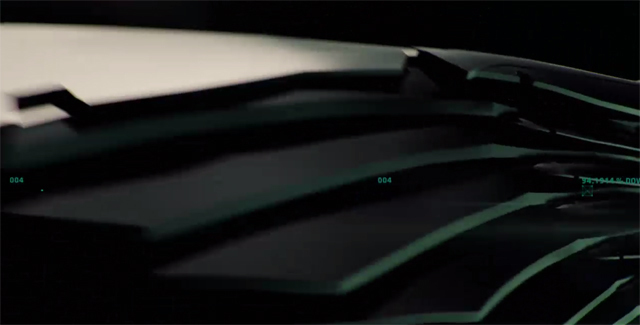 ← Batman: Vigilante, Hero, or Both? Good review Tres. It’s not all that amazing, but I did have enough fun with it that I couldn’t really care too much about the stuffiness of it all. Although that was clear. Thanks for the reply. 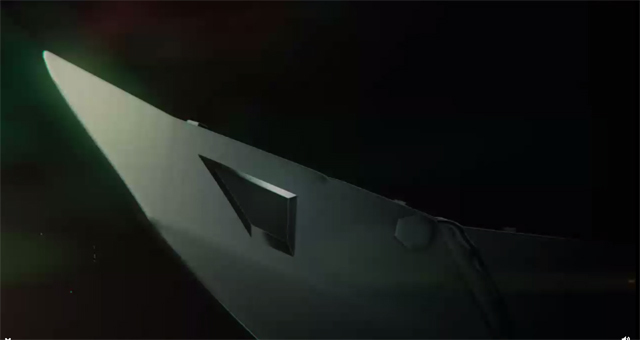 I truly think this was more of a lead in to what is coming next. I did really enjoy his sarcasm and wit with Gwen. They are a good screen match. I know I am just so use to the big action of these movies that this wasn’t nearly as intense as expected. The lighter view was greatly appreciated by this household as well. Thank you for the comment. Nice review and I totally agree with you. Good review. I’m a little behind as I didn’t make it to the big screen to watch this. But I rented the first one and second one. In one, Gwen mentions 2016 as her apartment number. She write everything else down and had to make sure to say that. I haven’t seen anyone mention this, but perhaps this is a clue to when Mary Jane comes into the picture?